Since ancient times, crystals have been used for their powerful energetic healing properties. Each crystal and stone has its own unique healing properties. Some can be best suited for abundance and prosperity, while others are better for love, relationships and harmony. Each stone has something special it can bring to the table. Crystals can even help heal deep-seated issues, including mental illnesses such as depression and anxiety. When you have these mental health issues, you might feel you are engulfed in negative energy or have a fog over your mind. It might feel like you are in a rut and need motivation to take the next step, or you barely want to move out of your bed. You might feel like you are in a constant state of stress and worry. Whatever negative emotions you are feeling, these crystals can help. Here are the top ones you can go out and easily get today. 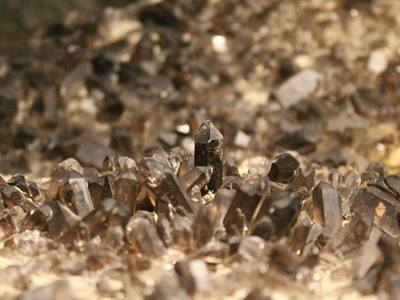 The smokey quartz is there to help you detoxify, get grounded, and move forward. A smokey quartz will give you the will to get up, draw closer to positive energies, and open your heart to let negative energy out. Working with this stone helps you to overcome negative emotions by keeping both your feet on the ground at all times. Anything that is no longer making you happy will more easily be recognized, and you will be encouraged to let it go. With enhanced concentration to help you resolve your issues and move past them, smoky quartz properties will get you back to a natural state of joy. 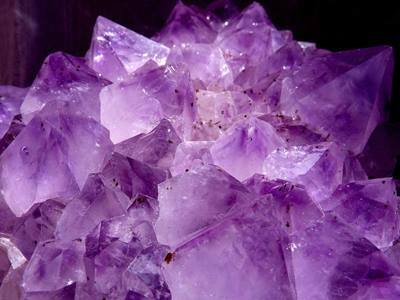 Amethyst healing properties are as plentiful as the stone itself. Amethyst is a meditative and calming stone which works in the emotional, spiritual, and physical planes to promote calm, balance, and peace. As it is linked to the crown chakra, it is helpful in purifying the mind and clearing it of negative thoughts. This includes the negativity of stress and anxiety, which is why many meditate with amethyst so as to rid themselves of that darkness. Amethyst is one of relatively few gemstones with the specific purpose of improving intellectual and cerebral thought. It helps promote sobriety of the mind in the sense that it clears the mind of any emotions that might be clouding it. The rose quartz has mainly been used as a stone for the hopeless romantic; however it has many other properties that can aid in depression and anxiety. 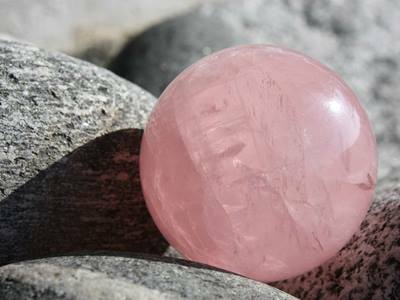 For example, the rose quartz is great at opening your eyes to ways you can start to heal yourself. It can help you recognize your own need for compassion, and allow you to see that you deserve forgives, understanding and love from yourself. It reminds those suffering from mental health issues that they need to be gentle with themselves and express self-love during this time. The rose quartz also lets love flow in, allowing you to connect more closely with your heart chakra. It provides you with a sense of comfort and healing. 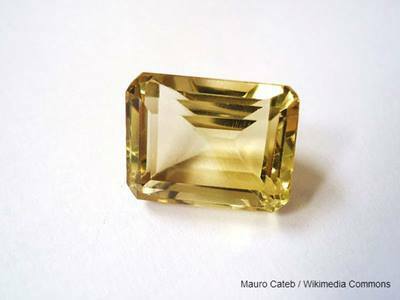 Citrine brings sunshine into your life. Its radiant energy cultivates positivity, growth and abundance. It is one of the only crystals that does not store any negativity, which is perfect for working with when you have depression or anxiety. When working with this crystal, your mind will more clearly see new opportunities and positive possibilities that are already available to you. Citrine can be thought of as the friend you call on when you are in need of a pick-me-up, because they always bring light into your day. It can also be used with other people, to help you create a stronger support system. 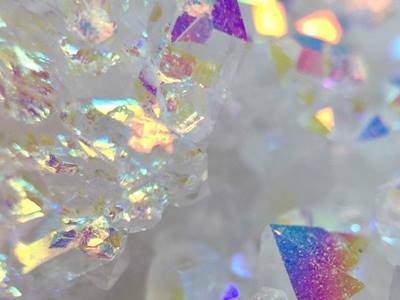 Angel or opal aura is a beautiful quartz that possess a sweet and loving energy that will immediately enhance and stimulate your mood. It is an effective aura cleanser and when used during meditation, will help you fall into a state of peace and serenity. Because of its ability to give both your mental and physical self a sense of rest, it's perfect for helping both anxiety and depression symptoms. This crystal can also help you reach a higher state of consciousness. When given proper time with the crystal, you will be able to use it to connect with your angel guides and receive further assistance through them.